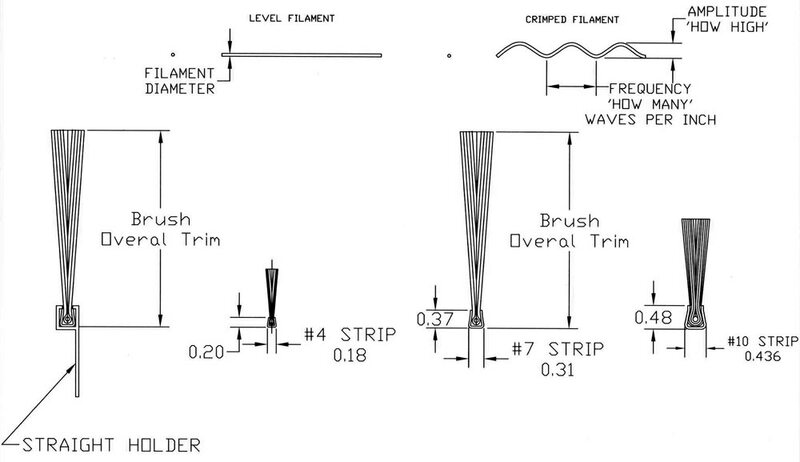 Strip Brushes - KD Brush Manufacturing, Inc. Strip brushes are used for cleaning or sealing conveyor lines, chip containment, static dissipation and splash curtains. 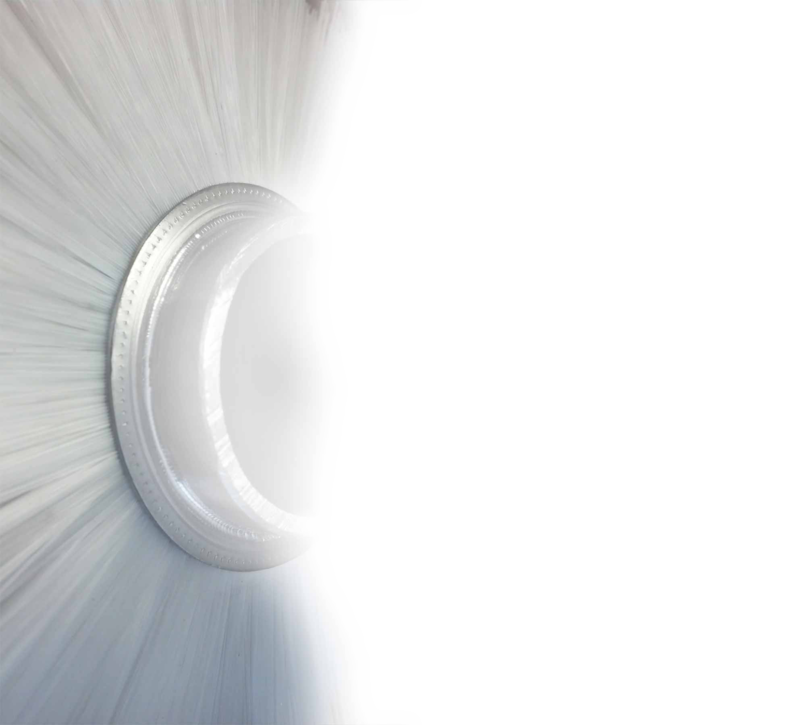 With 4 standard sizes (#4, #7, #10, #16) of standard c-channels, made from stainless steel or galvanized steel and brush materials of nylon, wire, polypropylene, and natural fibers, strip brushes are used for myriad applications. Other metals can be used for the channels on request. Food grade brushes and holders are available also. 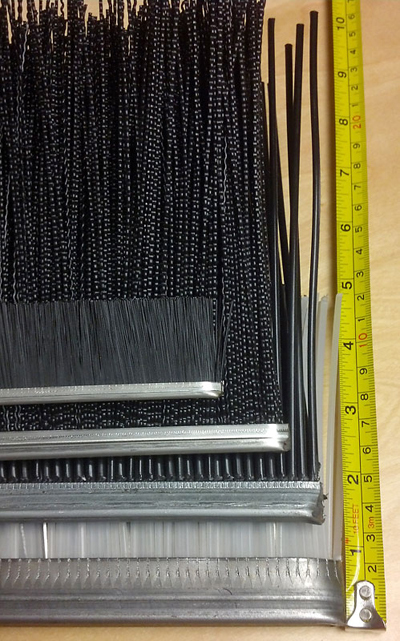 Strip Brush with nylon filaments, used for cleaning conveyor lines. 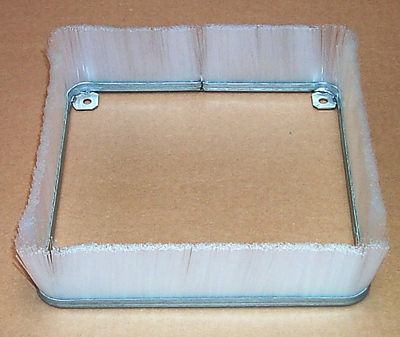 Heavy duty strip brush with polypropylene and wire filaments, used for cleaning concrete block forms and molds. Used for chip containment and machine guarding, this strip brush was formed into a rectangular shape to fit the exact situation needed. KD Brush Mfg. can form the strip brush to the shape you need, weld it, add mounting tabs, all in-house. 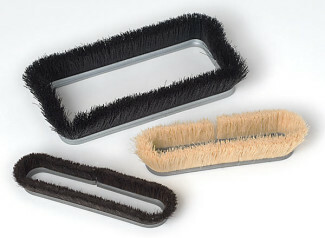 Formed strip brushes are used as vacuum hold-downs, chip and splash containment. Brushes are formed into a helical arc and inserted into a bushing, used to clean oil drilling pipes. Please download this form, fill in the dimensions, and either email this back to us, or fax it to 770.904.6659. We will be in contact with you within one business day to discuss your requirements.